Did you know… That crowdfunding projects with videos are 85% more likely to reach their funding goals than those without? This recent research conducted on over 7,000 Kickstarter projects speaks millions about the importance of showing people what you’re about, rather than just telling them. In a world where anything above 140 characters is considered too long, we tend to skim through texts and hop from one tab to another without really reading. Actually, you probably won’t make it to the end of this article without checking your phone, email or social media feeds – so I’ll get straight to the point. 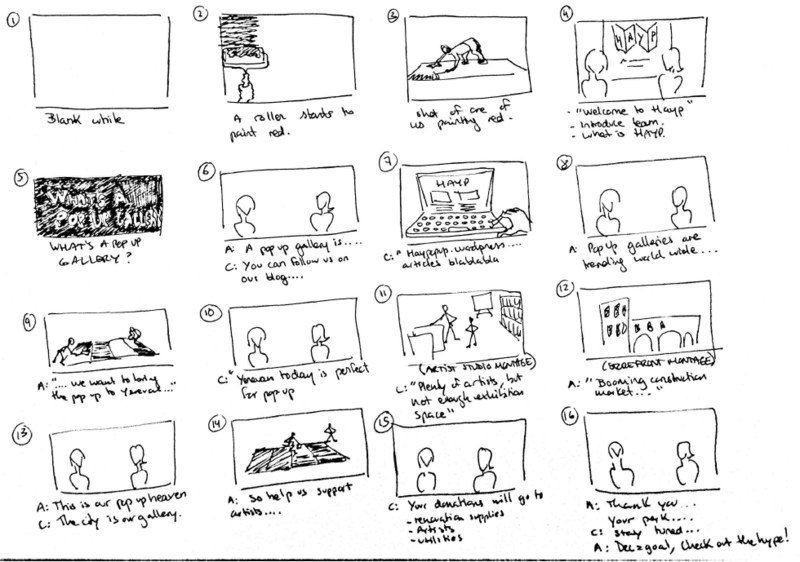 We were about to start a crowdfunding campaign, and we obviously wanted to reach our funding goal; we needed a video. It’s all about bettering the odds! Our expertise in video-making being limited to holiday souvenirs, Anna and I started scouting for a good film maker who could help us make an awesome presentation video. After all, a terrible video would probably do much more damage to our campaign than having no video at all. One of the many great things about Yerevan is what a small world it can be. 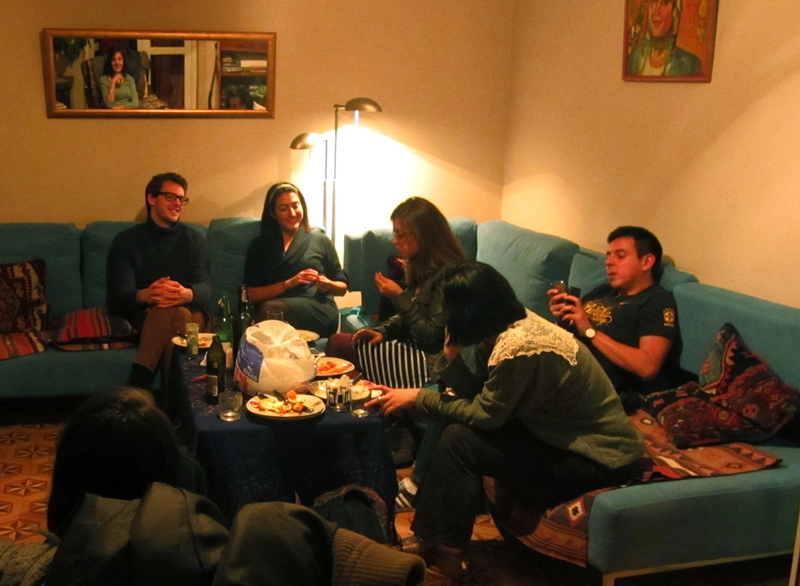 I arrived in Armenia one week before my 23rd birthday, and organized a small gathering in a bar with just six people – which was, at that time, the extent of my network in Yerevan. My friend Shaunt, whom I had just met at a wedding, introduced me to a girl named Kohar, whom he had just met on the plane. I bumped into her a few times after that, and subsequently learned that Kohar Minassian was a film director currently volunteering in Armenia through Birthright. 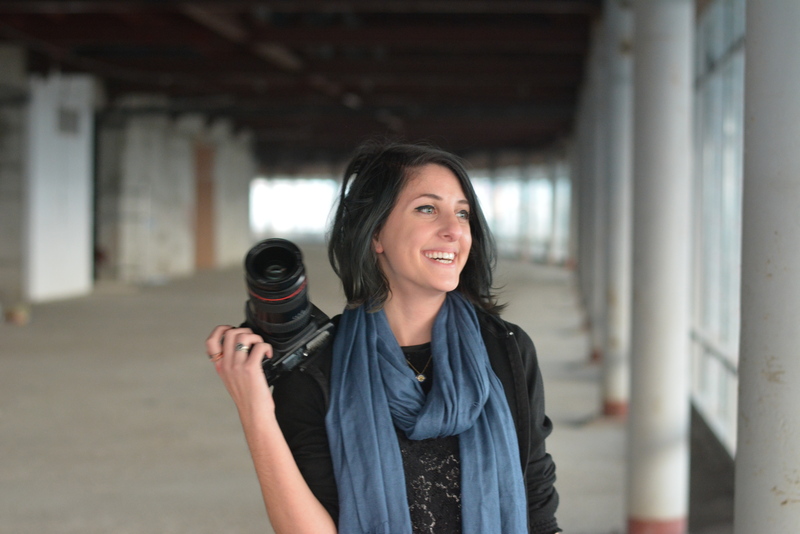 Anna and I met with Kohar over lunch mid-October and she accepted to shoot our presentation video. 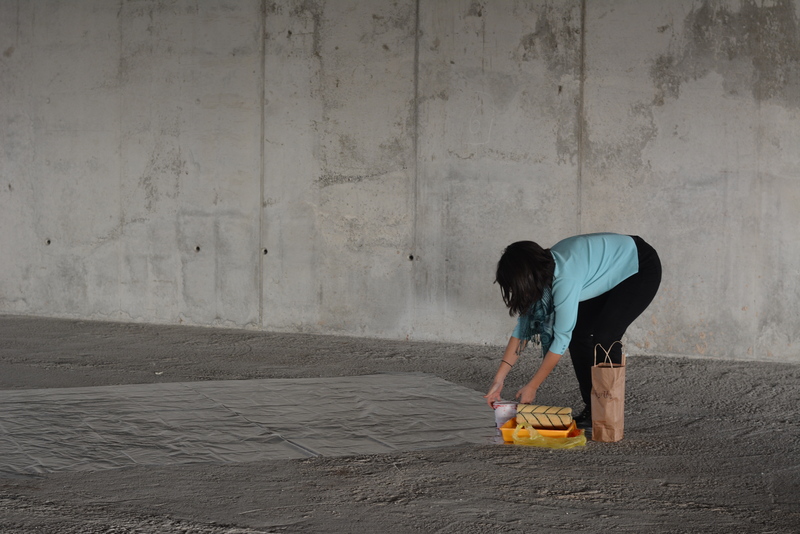 We exchanged ideas on what the final result should look like: a short video (under 2 minutes) with Anna and I presenting HAYP’s objectives to the camera in an unfinished place. We also wanted to show some art-making, and had a light bulb moment when we decided to make our logo… real size, as a big red room separator. 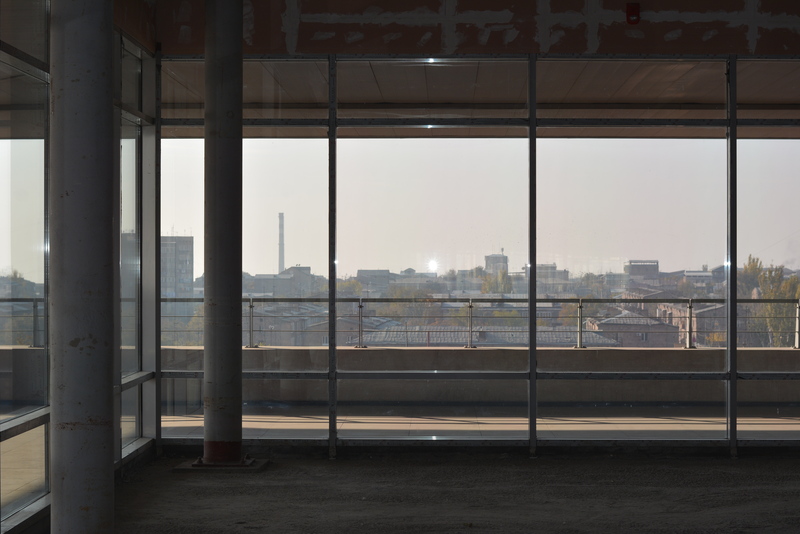 Tumo Center for New Technologies agreed to let us use their top floor, currently under construction, for the video shooting. 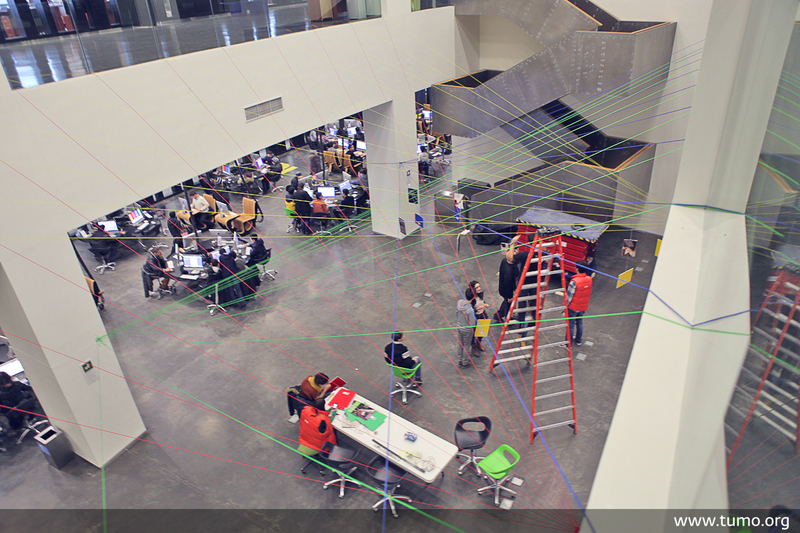 Now, those of you living in Yerevan certainly know about Tumo already. For those who don’t, Tumo is a non-profit venture that offers teenagers after-school education in various areas such as design, photography, digital art, video game design or robotics, all free of charge. 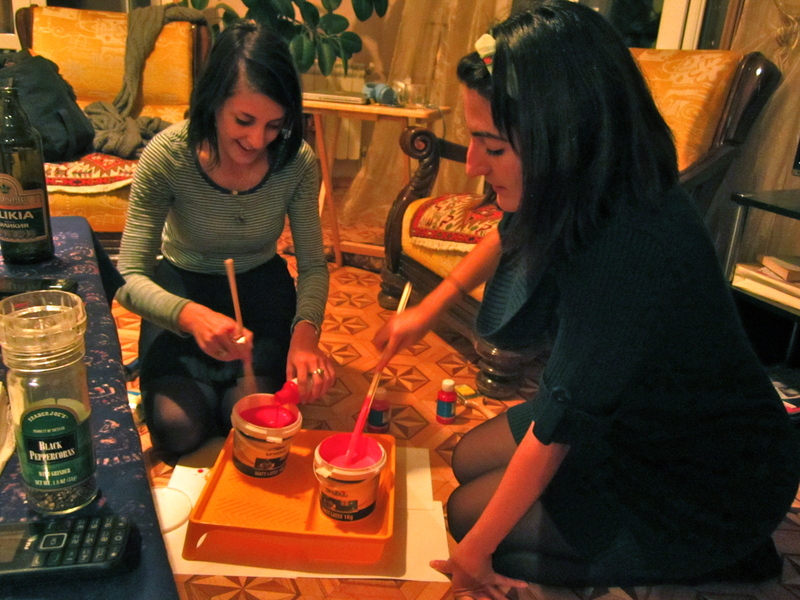 They organize events like artist talks, concerts and big conferences such as TEDx Yerevan. 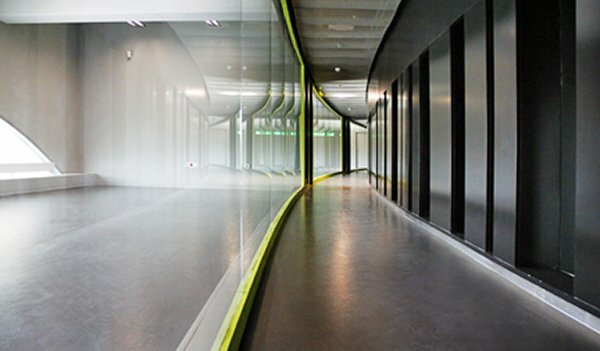 Tumo’s building is also host to a number of amazing technology and media companies like Picsart. 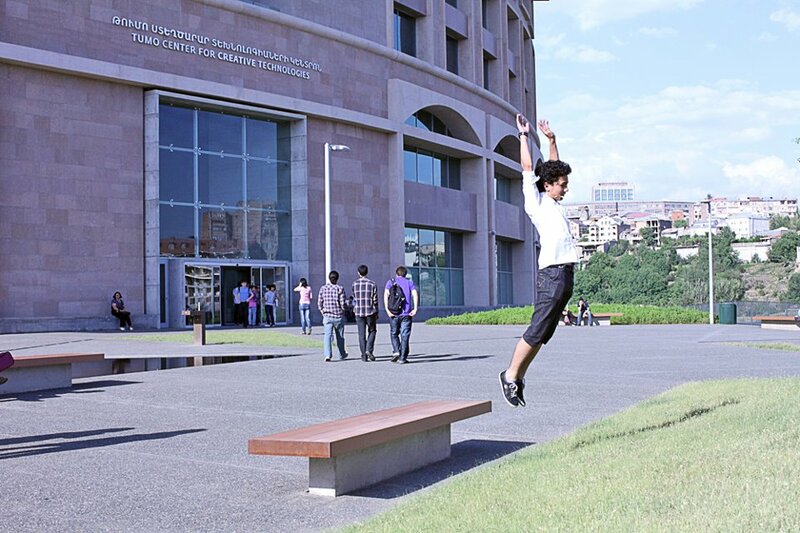 The building is impressive from the outside, located on Tumanyan park, on a smooth hill watching over Yerevan. From the inside it is… amazing. Huge, transparent, flexible. As Anna puts it: “this is what I would expect Google to look like”. 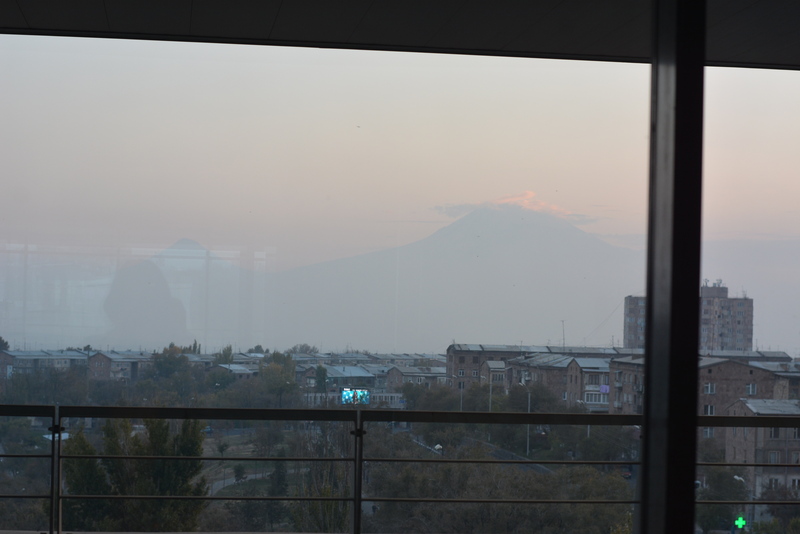 Needless to say, when Tumo agreed to let us film in there, we were hyped up already… And then we discovered their amazing last floor: an unfinished space, large windows all around, and a 360 degree view of Yerevan, including Mount Ararat. Our video was not expensive to make. 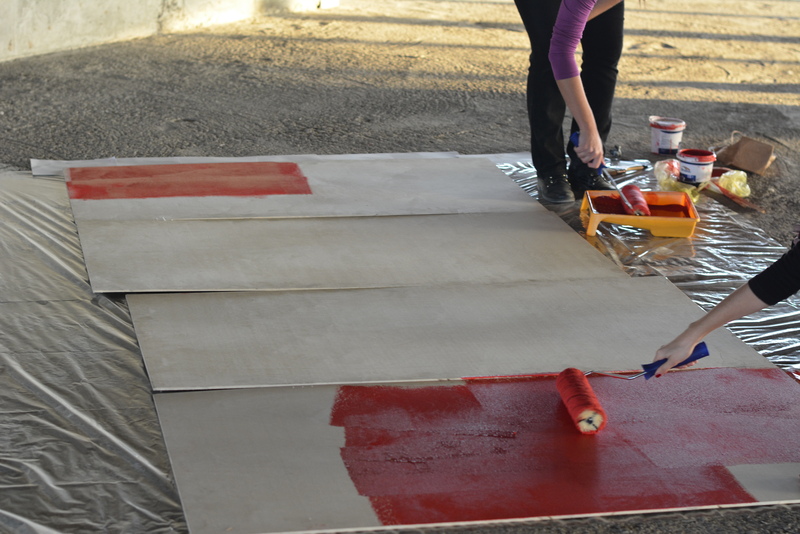 Basically what we needed was material to make our HAYP logo, aka wood, nails, red paint and brushes. 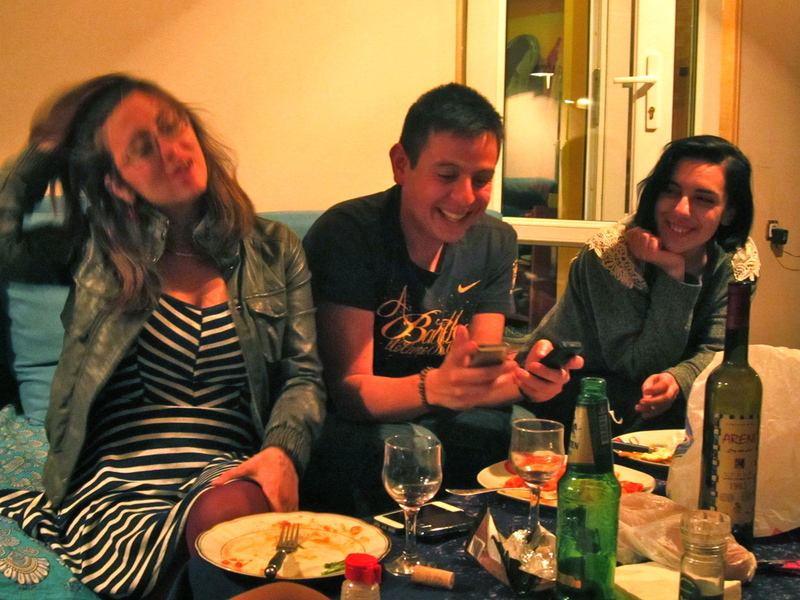 The day before shooting, we had a big HAYP gathering at my house over lasagna (having lived two years in Italy, Anna is kind of our Pasta-Master here). 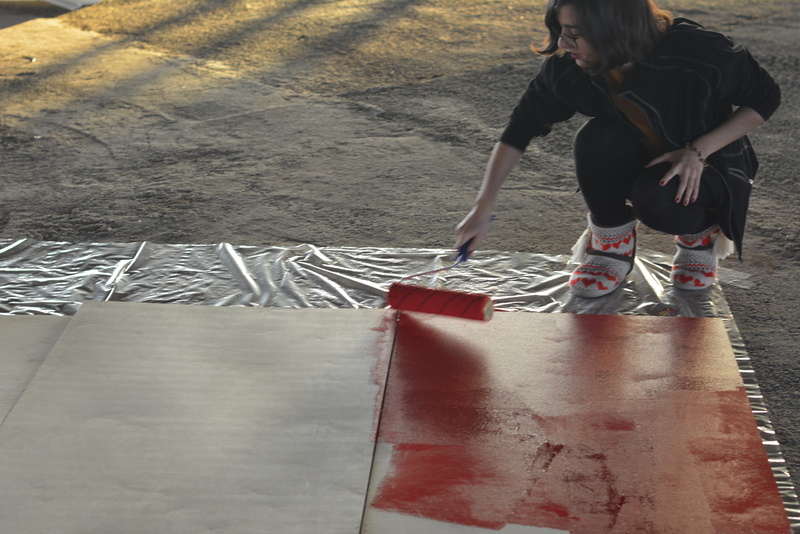 All of our extended HAYP network was there to discuss the next day’s shooting and ideas for upcoming exhibitions and articles… and help us stir red paint. Next morning Anna and I set out to do some wood shopping on Vardanants street. Do you know how to say wood panel in Armenian? We certainly do now! 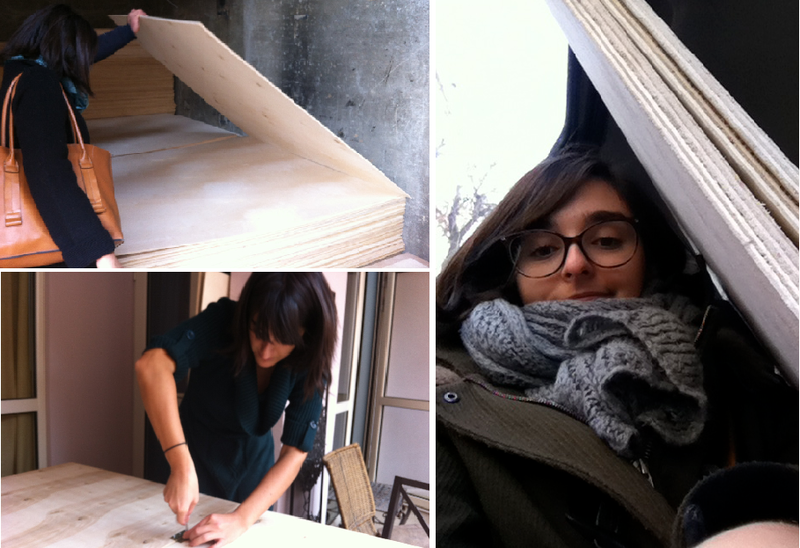 The most challenging part was transporting those 2 meter-high wood panels to our apartment, fasten them together with hinges, and then lug them all the way to Tumo Center, which is located a bit outside Yerevan. 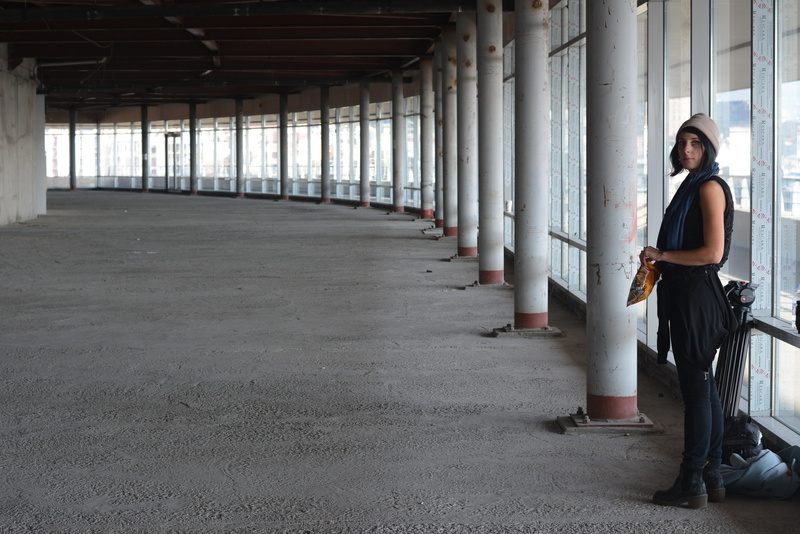 Upon arrival, we met with Kohar and the three of us inspected the last floor of the Tumo center to find the best shooting spot in terms of light and background noise. We re-arranged the chairs and the camera a few dozen times, put on our sound equipment lent by Tumo, and did our first take. 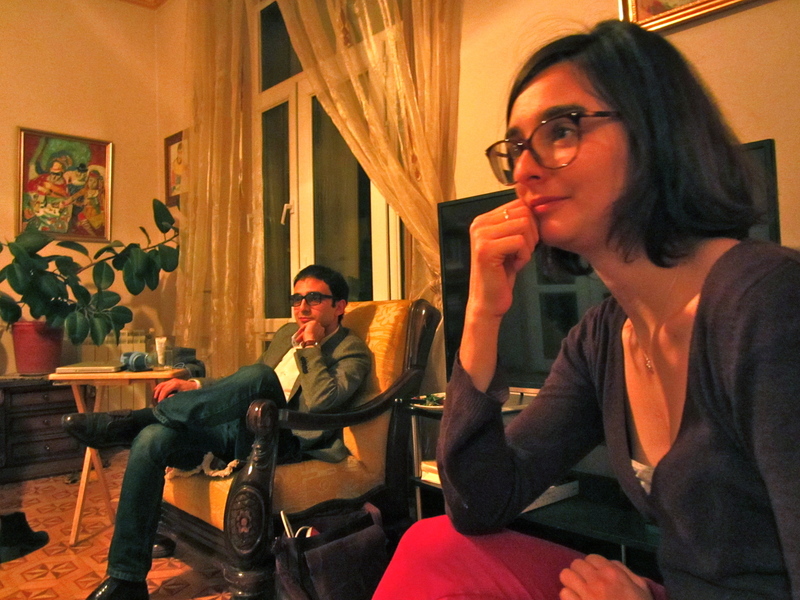 We had prepared our script the night before, and really focused on explaining the aim of a pop up gallery and why we wanted to do it in Yerevan. The sun slowly went down, and as we shot what seemed to me the 100th take, we became increasingly stressed out and forgetful. We had a few good laughs, but as Oscar arrived, we decided it was time to give the talking a rest and start the fun part: painting! Kohar worked hard on editing the video ; “I’ll make you look good, don’t worry”, she said. I was still anxious when I opened the first draft : nobody likes to see themselves on camera, do they? But there was no denying our message came across – and I loved the way the painting sequences were mixed with us talking. I could hear my French accent clearer than ever though. We uploaded our video on Monday, November 24 and proceeded to share the link to everyone. I also spent some time uploading subtitles in Armenian, Russian, French, Italian, Spanish and Arabic. “Check out the hype” was pretty difficult to translate. Oh, and our dear wooden logo was not discarded: it is carefully wrapped up and waiting on Anna’s balcony to pop up at our next exhibition. PS: It’s the last 10 days of our Crowdfunding campaign!